As I found out this weekend, one of the best aspects of an Elonga Internship is the chance to make some fantastic new friends and explore Namibia with them. 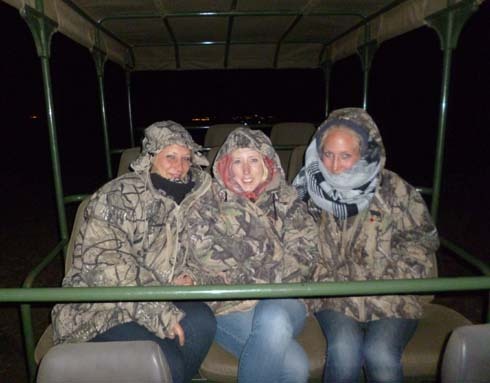 Over the weekend Dani, Miriam and I headed out to the Heja Game Lodge. 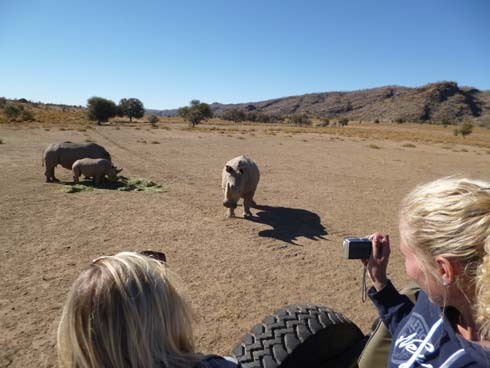 This 20,000ha game farm is a mere 20 minutes from Windhoek and offers some spectacular game viewing. While there we saw a huge array of animals including: White Rhino, Ostrich, Giraffe, Water Buck, Black Wildebeest, Zebra just to mention a few. After our drive we were treated to some yummy cocktails by our guide, this was followed by dinner in the on-site restaurant and an impromptu late night game drive in search of the elusive Pangolin. While we didn’t find the Pangolin we had a lot of fun under the beautiful Southern night sky and there was hot chocolate back at the lodge to warm us up. Just another weekend in Namibia! Remember an internship isn’t just about what you do Monday to Friday, on the weekend you are able to have some amazing experiences as well.